Cap Table Light – Copper Plated. This compact table light is ideally placed on a bedside table or sideboard or used as a night light in a child‘s room. Cap is a little elf with a large hat enchanting your room with cosy ambient light. 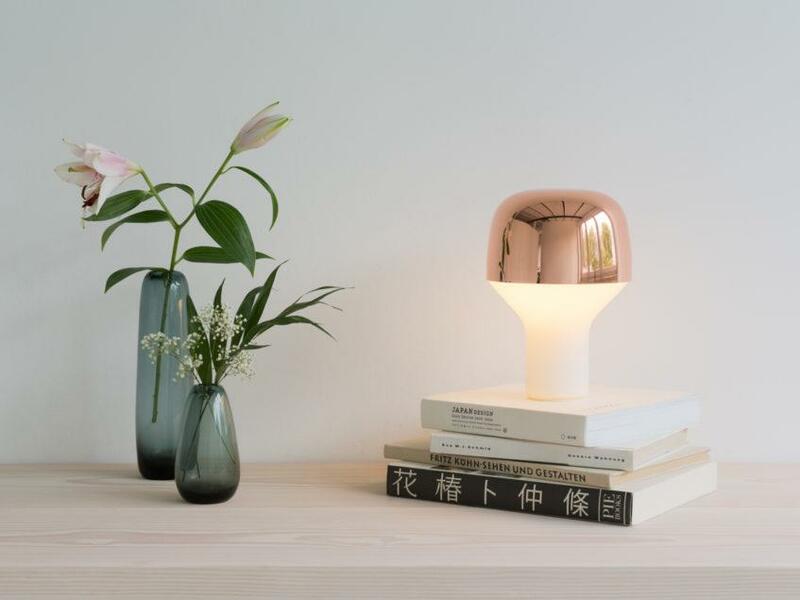 Playfulness and the inverse order of glass and metal elements give this table light a special character. The upper cover functions as a reflector that diffuses light softly through milky glass. Comes with a transparent 2mtr cable and integrated switch. E14 socket. We recommend using an LED bulb. Comes with a 2 pin EU plug.